So recently it rained in NC for about 10 days straight, which rarely happens here. It was practically all anyone could talk about. I was particularly distressed because I had a few sessions scheduled during this time period that kept having to be rescheduled due to the fact that it would NOT STOP RAINING. 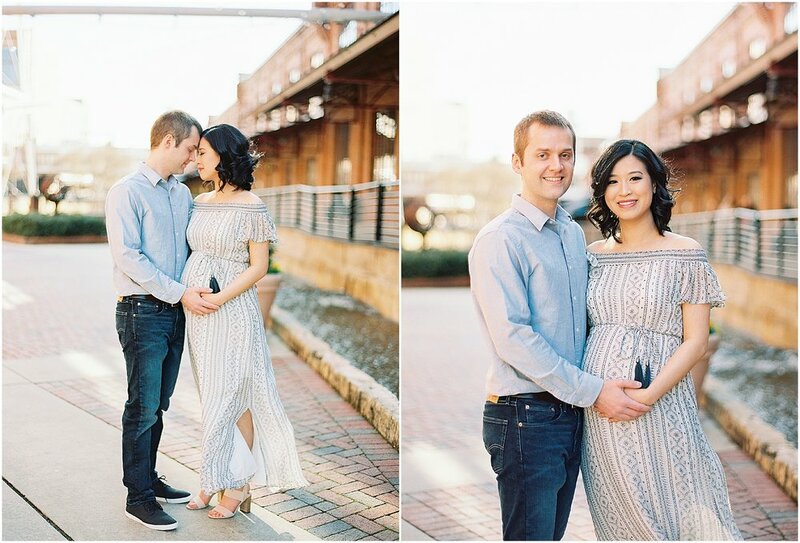 Betty & Richard’s maternity session was one that kept having to be rescheduled - we waited and watched the weather over the course of two weeks and FINALLY the sun peeked out for one glorious afternoon and BAM! Magic. Betty showed up to the American Tobacco Campus in Durham looking like an absolute vision and literally glowed the entire session! Side note - To all my pregnant mamas out there, listen to me - your body is doing some incredible work to create new life! Whether we do it in your home or outside somewhere special to you, I promise you won’t regret documenting the amazing way your body has changed to make a little miracle happen! 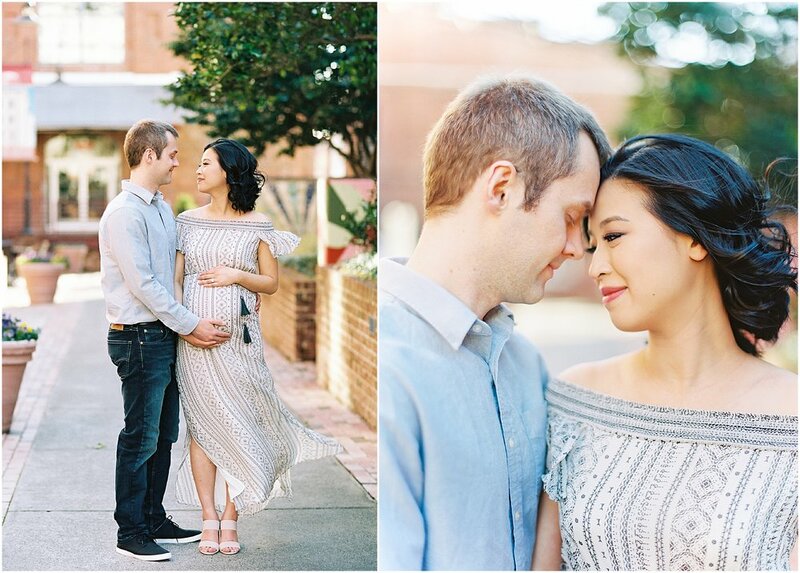 Enjoy a few images from this sweet and simple maternity session! I’m so excited to meet Betty & Richard’s sweet little baby boy in just a couple weeks. Baby Maggie was six weeks old when I came for her newborn photography session. 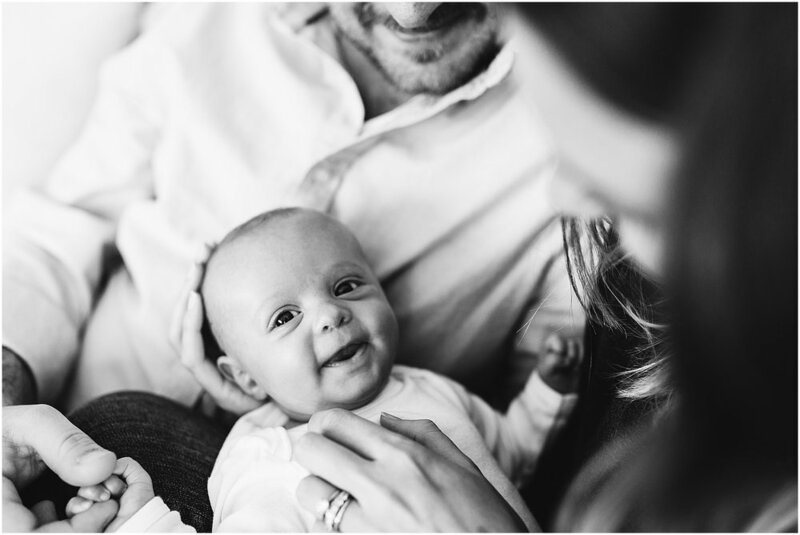 Most newborn sessions take place within days of birth, but this session proved that you don’t have to rush to have photos taken if you’re not immediately ready upon returning home from the hospital. Maggie was wide awake, happy and alert throughout the entire session. No, we didn’t get classic sleepy newborn photos, but what we did get were photos of Maggie’s big eyes focusing on her parents and staring straight into the camera, and it’s one of my favorite sessions because of it. 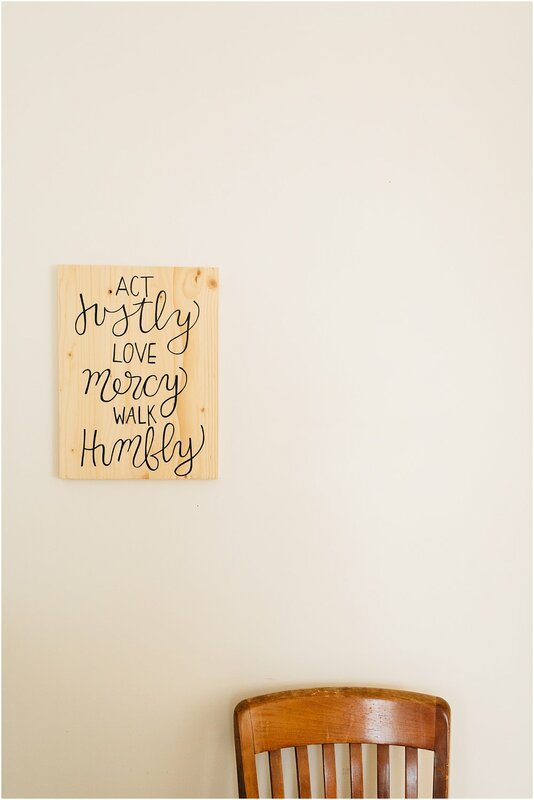 Couple all that with the tangible love shared between these three (also Katie’s impeccable home decor style) and it was straight up photo magic. Enjoy a few favorite images from my time spent with this wonderful family! 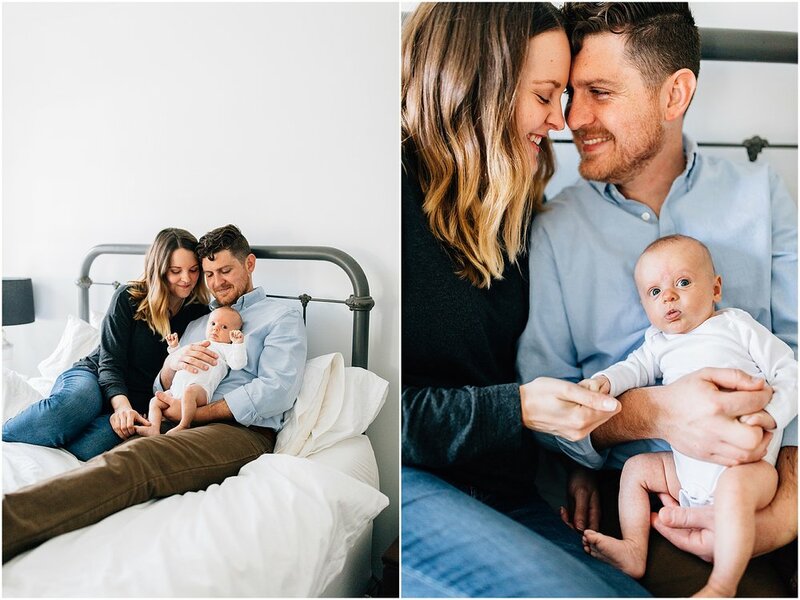 Jamie Vinson is a wedding and lifestyle newborn, family and maternity photographer located in Raleigh NC and traveling to her clients throughout the east coast and beyond. To inquire, contact Jamie for further details. My beautiful friend Sara reached out just days (literally) before her due date, wanting a quick and simple maternity session. Up until that point she hadn’t been sure if she wanted to do a maternity session but as the end of her pregnancy drew near she felt compelled to document this season of her life. This impromptu session yielded some of my favorite maternity images I’ve ever done. I think it proved to me that maternity sessions should be kept simple and focus on documenting the feeling of anticipation as well as celebrating how amazing the female body and all it is capable of really is.